Back in July, Matt introduced us all to Tyler Powers, also known as Youth Lagoon, the 22 year old, solo musical savant out of Boise, Idaho. 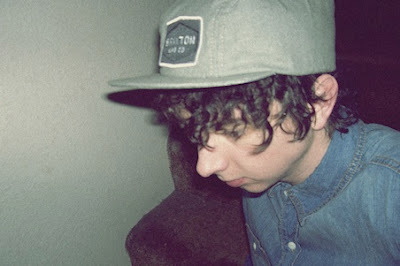 Back then, Youth Lagoon's much anticipated debut LP, The Year of Hibernation, was still two months away from release. On the strength of what we heard from Powers this summer, it seemed as if that wait would drag on for ages. Well, patience has prevailed, and the wait is nearly over as The Year of Hibernation will be released tomorrow on Fat Possum Records. Upon early spins of the record, "Seventeen," a quiet ballad laced with reverb vocals and simple key strokes, emerges as a complete and utter jaw-dropper of a tune. The track is gentle, disciplined, and almost sweet musically, building to a more upbeat end that folds in guitar and percussion, but the lyrical subject matter is somehow grim and hopeful at the same time. With this enthralling track (and frankly the rest of the record as well), Powers establishes himself as a songwriter astute and mindful beyond his years, waxing nostalgic about his own childhood and poetically examining himself (and his already well documented struggle with anxiety) with a depth and touch that normally takes several records, or at least some more time on this planet, to develop. "Seventeen" contains some of the finest lyrical nuggets of the year, especially the hook; "When I was seventeen, my mother said to me; 'Don't stop imagining. The day that you do is the day that you die.'" Profound stuff, and good advice, from an inspiring and promising young artist. Consider us floored. Stream The Year of Hibernation today, here. Buy the record tomorrow, here. Listen to "Seventeen" and watch an unofficial vid below, now.